Today’s topic is about a quote that is often found falsely attributed to John Milton. It is popular across the internet and in modern books. 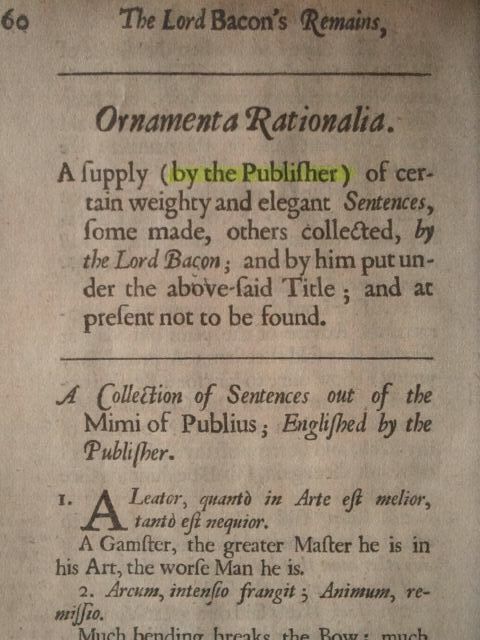 The quote found in “Ornamenta Rationalia.” Note the wording is altered, and the second half of the quote is missing. 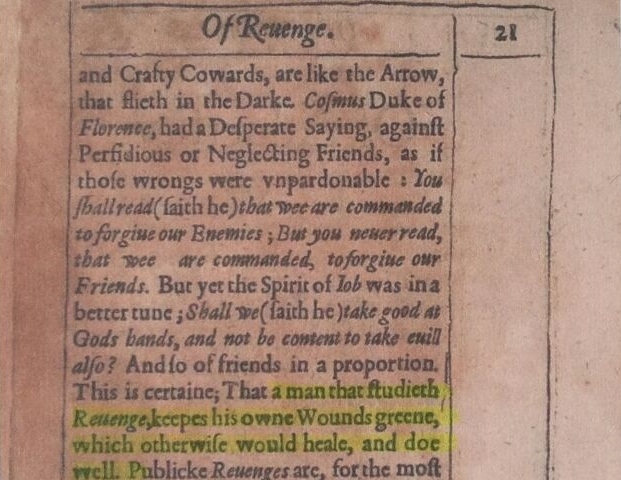 The above excerpt also shows that the latter part of the quote, “which otherwise would heal, and do well,” is deleted. 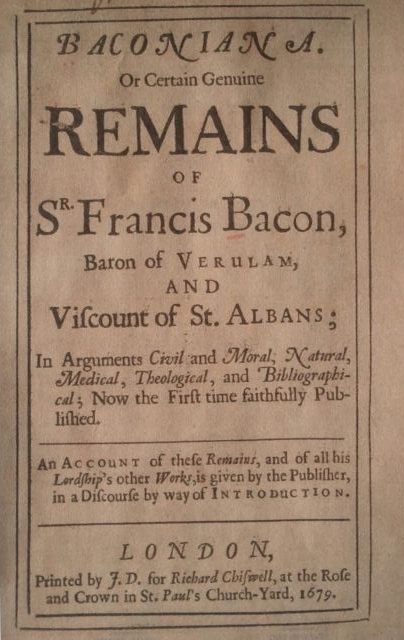 Since this version was published posthumously and was compiled by someone other than Bacon, it is not the reliable version. 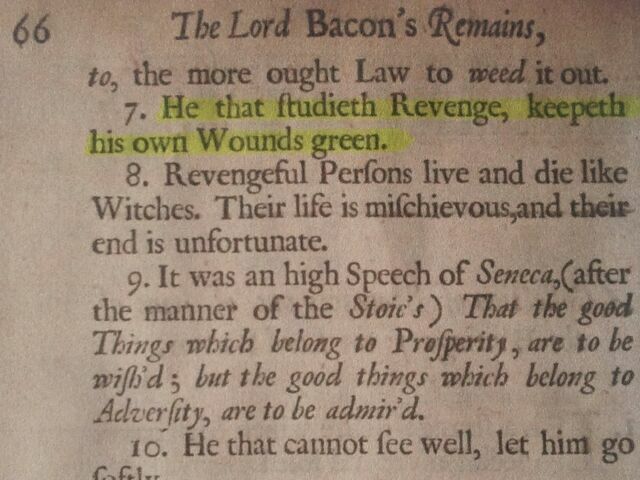 Fortunately, the meaning is not altered by the rewording, but if you’re looking for the exact quote, use the one from the “Of Revenge” essay from the book The Essays or Counsels, Civil and Moral written by Bacon and published during his life time. As usual, it is the websites specializing in quotes only that make up the largest percentage of misquote offenders. Hmm . . . there seems to be a pattern here. If you go back and read all of my previous blog posts, you will see that ALL of them report this same result. The disturbing thing is that the number of quote websites is growing. Every three to four months, I notice new quote websites rearing their ugly heads. After researching quotes for four years, I am very familiar with the names of most of these sites, so when a new one pops up, I spot it immediately. As a side note, I have noticed that a lot of these sites contain pages that are exact copies of pages from other quote websites, meaning the quotes are in the exact same order featuring the exact same misquotes and the exact same typos. The bottom line is that a website that specializes in quotes is typically the worst place to get reliable quotes. This doesn’t make sense, but it seems to be the case. This misquote is also featured in at least two books of quote collections published in the 21st century. I also found it in five non-quote books, usually at the beginning of a chapter. Unfortunately, modern authors use quote websites as a resource to find quotes to include in their books. So when they inadvertently cite a misquote, their book becomes a new source of quote contamination and helps to perpetuate the spread of this misinformation. Some modern-day educators also use quote websites as a resource for quotes to include in their educational literature. This creates a double jeopardy situation because most people assume if the information is coming from an educator or educational institution, it is accurate. However, in my research, I have come across misquotes featured on university websites as well as in theses, papers, and books written by professors. This doesn’t occur often, but it is still disappointing that academic sources like these can contribute to misquote proliferation. Another disappointing place where this misquote occurs is on a website offering free books online. 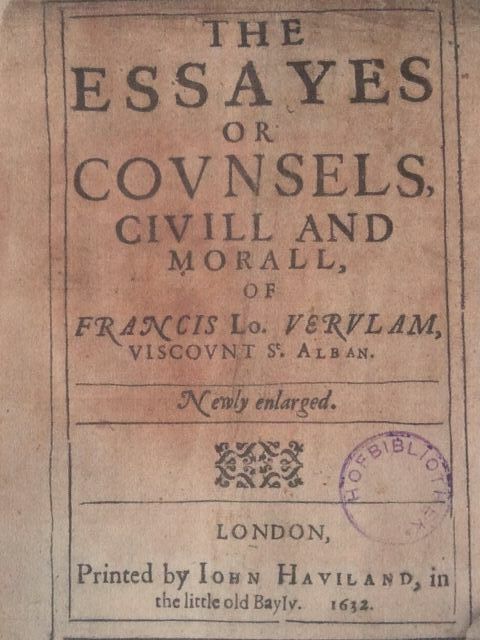 Their John Milton page includes a biography about Milton as well as a list of quotes by him. Unfortunately, the quote list includes this misquote. Obviously whoever created this page did not actually read Milton’s books and probably copied the quotes from another source without verifying them. This is a shame because the overall purpose of this website is meaningful and extremely beneficial; to have a free treasure trove of great literature at your finger tips any time you want it is invaluable. It is unfortunate that what could be a great educational resource is marred by inaccurate information. Finally, on a lighter note, if you are interested in purchasing flawed merchandise, today’s misquote can be found for sale on the internet. That’s right folks. For just $31.95 you can have your own misquote coffee mug. What a bargain! I will conclude with another plea to help stop the madness. Please share this blog post and/or share my “What You Can Do” page. Every little bit of shared knowledge makes a difference.